It’s a good thing we love broccoli around here. I’ve made this broccoli with gremolata three times this week, just to make sure I got the recipe right. And yes, I’m somewhat of a perfectionist — why do you ask? I’ve had gremolata on the brain for a while now. 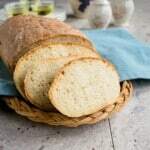 It’s a blend of lemon zest, fresh parsley and garlic that Italians use to kick things up a notch. And, while the garlic is typically raw, you might recall from my Tomato Bruschetta with Balsamic Glaze post that I’m not a fan of raw garlic. So, I decided to sauté it and use my version of gremolata in Mom’s broccoli salad with lemon and olive oil. Interestingly, I ended up with a cross between that dish and her sautéed broccoli with garlic. It’s the best of both worlds, and I’m excited to share it with you! I have to laugh, though, at how I developed the recipe. 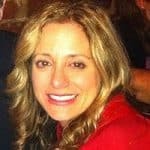 I first made it after my daughter arrived home from college (yes!!) and got so wrapped up in talking with her, I forgot I had broccoli on the stove. Fortunately, my olfactory system didn’t let me down, and I eventually smelled something almost burning. The funny part is, the veggies, though browned and almost mushy, tasted so good mixed with the gremolata, olive oil, lemon juice, salt and pepper. “I’m probably going to eat the entire bowl, ” my daughter announced, after I adjusted the oil and seasoning. And yes, she’s been living on cafeteria food for months, but still, I trust her judgment. Both of my kids, in fact, always have had great taste buds. So, they were my testers this week, since my hubby wasn’t available, and I tweaked until the recipe met their approval, and the broccoli was cooked just right. Then, the broccoli gets mixed with the gremolata, olive oil, lemon juice and seasonings and left to rest at room temperature for 30 minutes to an hour, to allow the flavors to meld. A delicious broccoli salad made with sautéed garlic, olive oil, lemon zest, parsley and lemon juice. Note that it's best to let it sit for 30-60 minutes at room temperature before serving. Rinse your broccoli and cut off the bottom three inches of the thick stems. Use your knife to cut the broccoli into individual florets with 2-3 inches of stem on them. Thin the florets and stems by slicing them in half vertically, so they'll cook faster. 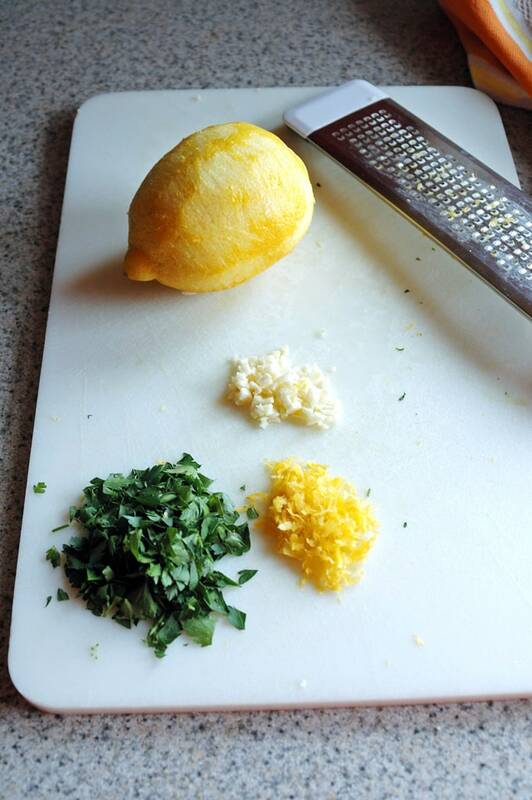 While the broccoli is cooking, zest two lemons with a zester or box grater until you have a tablespoon of zest. (You want only the yellow part of the skin, not the white.) Rinse your parsley, remove the stems, and chop the leaves until you have two tablespoons of it. Peel and finely chop your garlic. 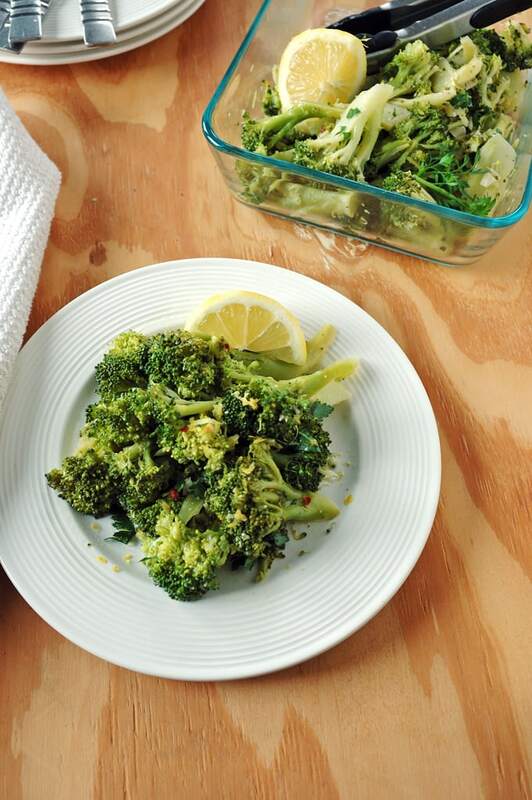 When the broccoli is cooked, turn off the heat and transfer the broccoli to a large serving bowl. Add two tablespoons of olive oil to your skillet and heat it on medium high. Add your garlic to the pan and cook it for 30 seconds or just a little longer to soften it, being careful that it doesn't burn. Turn off the heat and add the garlic and oil from the pan to your bowl of broccoli. 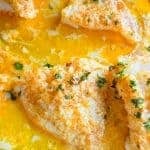 Add the remaining two tablespoons of oil, the lemon zest, parsley, lemon juice and seasonings to the bowl and stir well with two spoons. 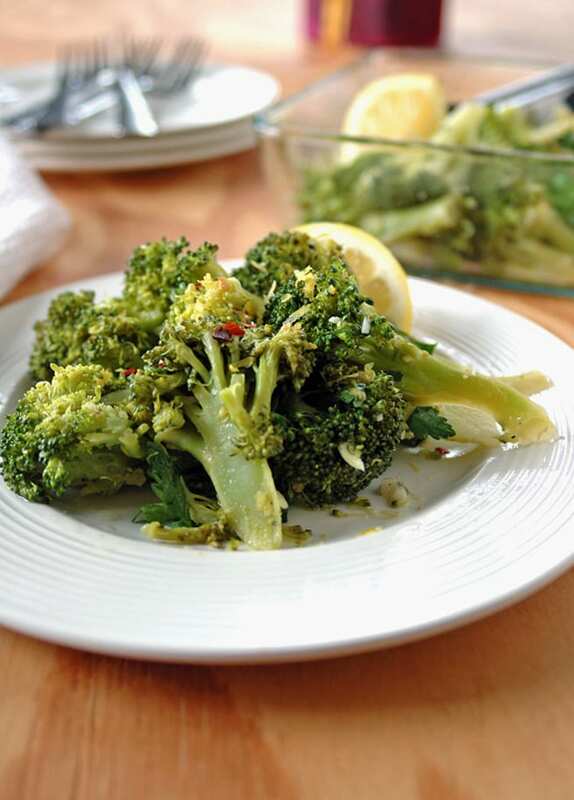 Let the broccoli sit at room temperature for 30 minutes to an hour to allow the flavors to meld before serving. Store leftovers in the refrigerator for up to five days. It helps to weigh the broccoli in the store to start out with 1 1/4 pounds. Once you trim off the thick stems at home, you'll end up with a pound of broccoli to cook. Quick and simple — my kind of weeknight cooking! 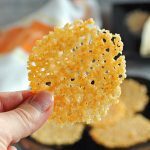 Very simple ingredients with big flavors! Thanks, Lisa. What a great way to use broccoli. I love it and this is a perfect dish for a crowd. 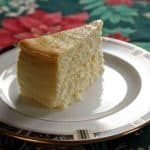 Yes, it would be perfect to serve to guests. Thanks, Gloria. 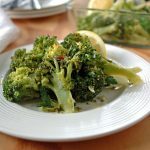 I hadn’t heard of gremolata before, but it sounds absolutely gorgeous – particularly with the broccoli! I love the vibrant colors that go into this. It’s so fresh tasting too. Thanks, Kate! This sounds great as I’m a huge fan of broccoli, and it sounds like an easy way to enjoy a delicious broccoli dish! It’s so good, I could just eat the whole thing for lunch. 🙂 Thanks, Diana.